Moshi- to start with we love how the name reflects what this small little joint proudly serves mouth-watering momo’s and sushi’s. 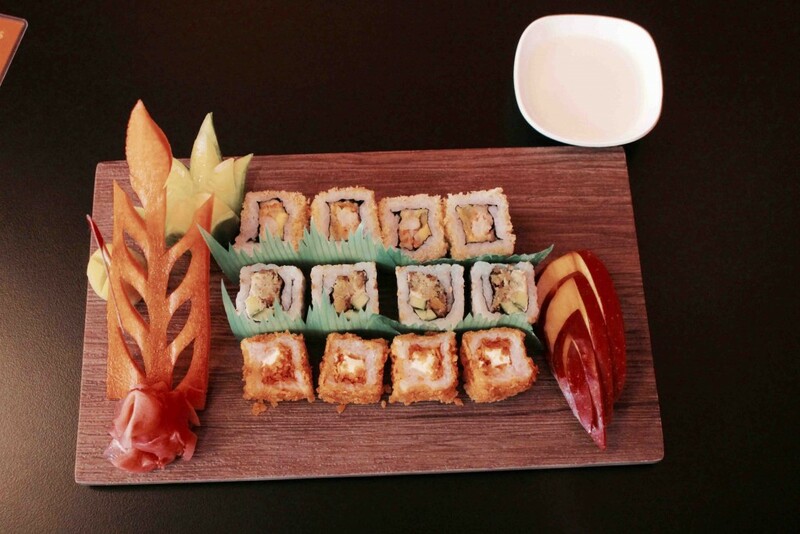 Moshi nested in the heart of Barsha is a cute little spot to satisfy all your sushi’s and momo’s craving! If you are not already a fan of these delicacies then you will be after trying these. 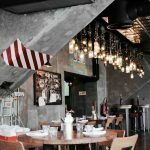 Although small in capacity (space wise), this place serves the most unique and out of the box dishes that has food enthusiasts coming back for more. They serve top notch restaurant quality food that does not burn a hole in your pocket. We started off our meal with refreshing mint lemonade along with the Waii waii chaat. 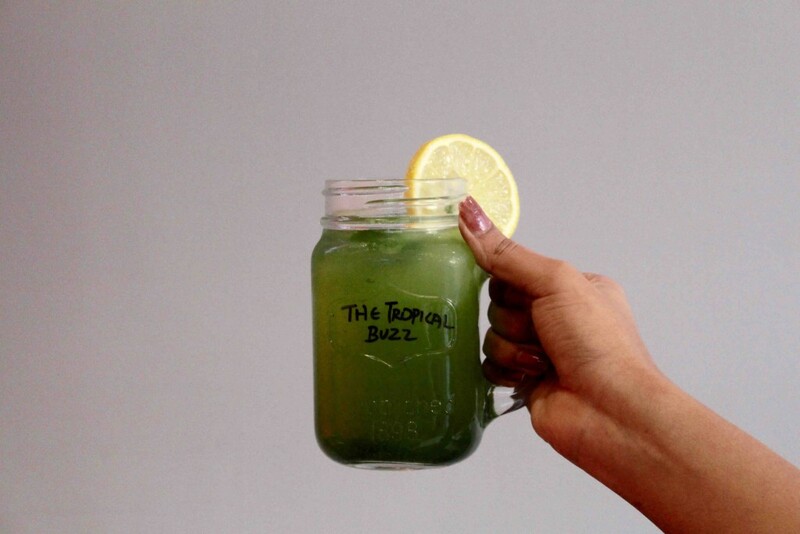 The drink is perfect for re-hydrating yourself after a long day at work. 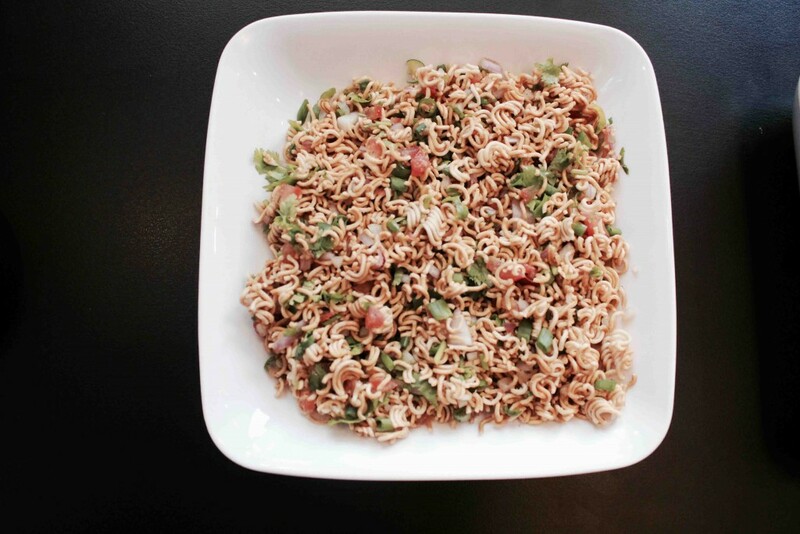 The chaat is made out of Wai Wai Nepalese noodles, chaat wouldn’t be the first thing that comes to your mind when it comes to noodle recipes but this has got to be one of the tastiest and innovative chaat creations we have ever tried! 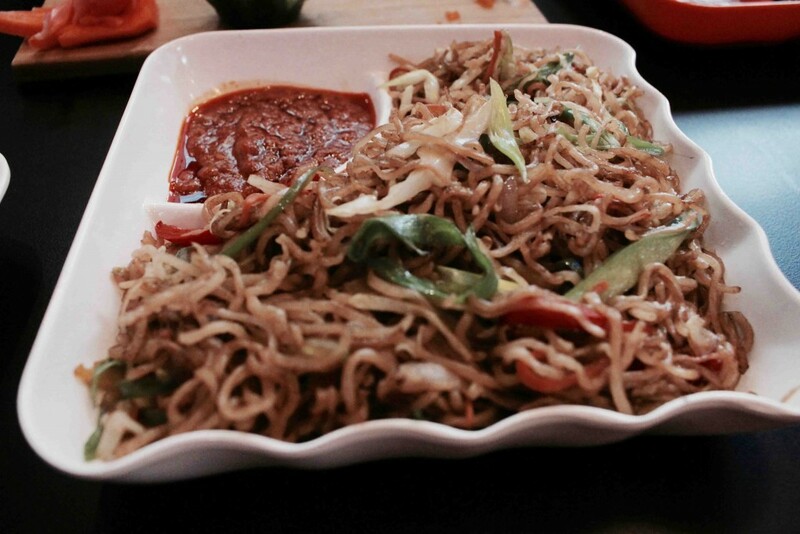 We were then served with Veg fried noodles accompanied with their special spicy sauce. These are not your basic fried noodles, the dough of these noodles are completely hand breaded which makes them light, chewy and full of flavors. Although we loved the noodles we are a little biased towards the sticky chicken fried rice we ordered next. These were one of the BEST we’ve had in a long time! We loved everything about this dish, it was the perfect amount of sticky with a bag full of Asian flavors! We certainly had to save some room for the much-awaited momos and sushi. 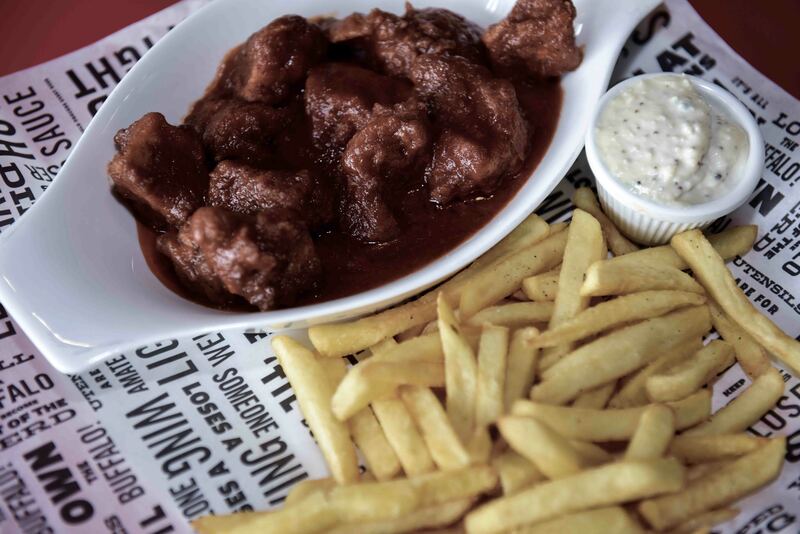 We love how the menu does not discriminate between veg and non-veg options. The veg options seem just as appealing as the non-veg options and you’re surely going to have a tough time making a choice! 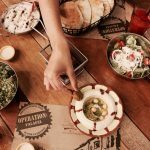 We started off by savoring their insta-famous cheesy oman chips and the inventive concoction of falafel, hummus and cucumber sushi. These definitely were worth all the hype; the flavors were rich and true to this region. 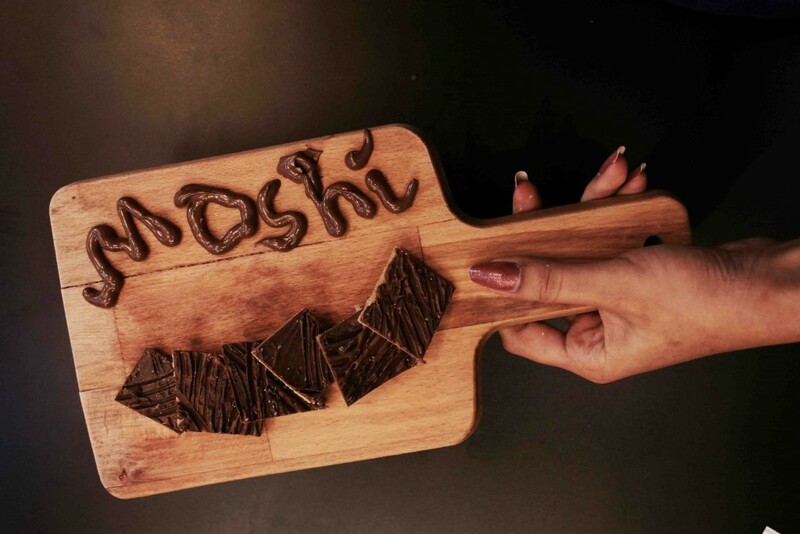 We love how Moshi cleverly incorporates and customizes their dishes according to the tastes and preferences of foodies in Dubai. Absolutely a hit! Our non-veg platter consisted of indian inspired Chicken tikka, traditional chicken Katsu and Moshi dynamite sushi’s. The chicken tikka and chicken Katsu were created using the ‘air roll’ concept as an alternative for maki rolls which tend to put some people off due to their fishy aftertaste. Consequently, moshi came up with it’s own version of ‘air rolls’ containing a translucent layer of rice holding in a layer of lettuce and other contents. 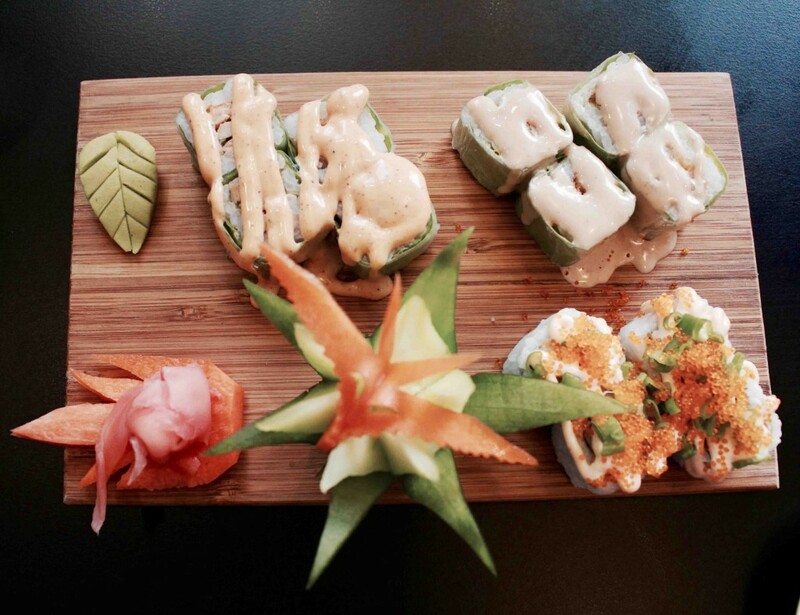 ‘Air rolls’ is a lighter and a healthier option in comparison to the latter. 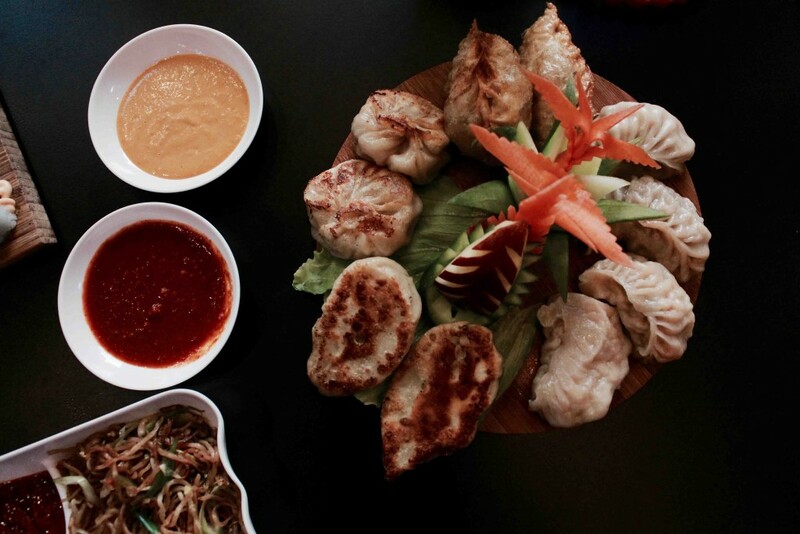 For momos, they have three kinds of momos: steamed, pan-fried and fried. We got to try all the three varieties. We had the cheese mushroom, pero pero chicken, cheesy chicken capsicum and the mutton momos. 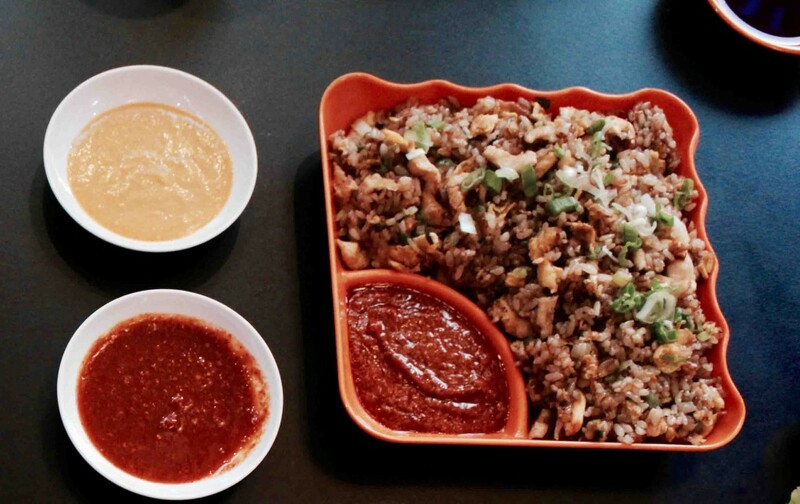 It’s difficult to pick a favorite but if we had to, it would be the pero pero chicken, which were steamed the traditional way making it a healthier option. They were soft and were a little on the spicier side compared to the others on the platter. At this point its safe to say we were full beyond our limits, but there’s always room for some dessert. Isn’t there? 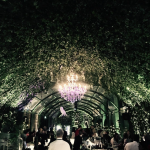 We were served their signature nutella maki rolls, peanut butter bars and Kinder Bueno milkshake. 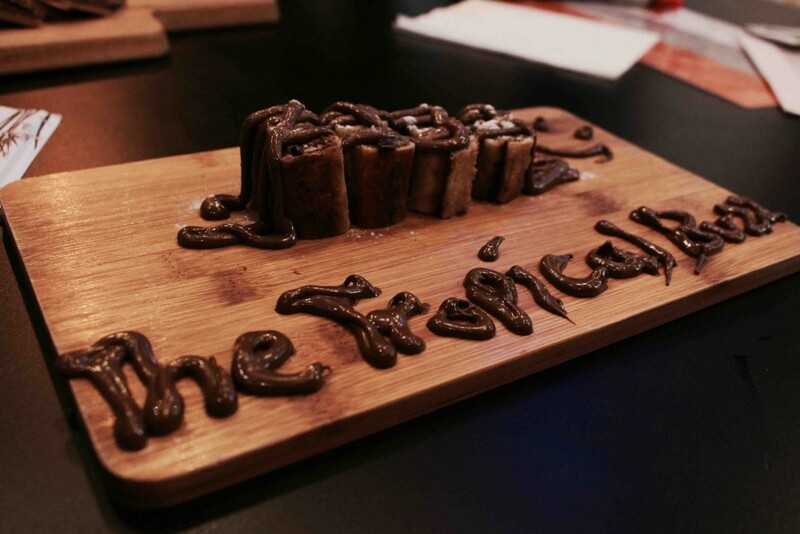 The Nutella maki rolls were beautifully presented to us and customized specially for us with our name, a really sweet gesture by the Moshi team. The rolls were perfectly tender from the inside and equally well crusted on the outside topped with generous amount of nutella. We were in Nutella heaven! The peanut butter bars glazed beautifully with dark chocolate would be a great choice for health junkies as they aren’t too high on calories and full of proteins. Lastly, we ended our meal with a decadent Kinder Bueno milkshake. 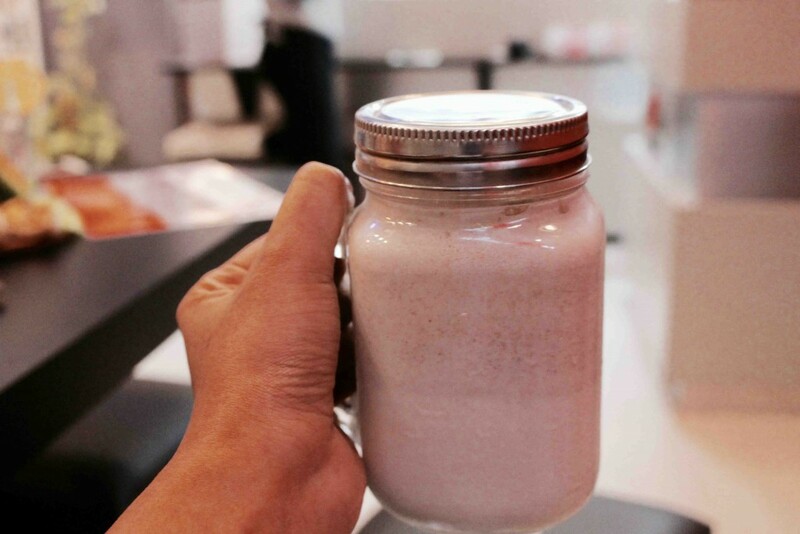 This surely took the crown of the best shake we have tried; the shake was thick, creamy and blended to perfection. We are definitely coming back for more! To conclude, we had a great time at Moshi, we appreciate the attention to detail and absolutely loved the culinary art displayed by the chefs here. The plates are color specific for Non-vegetarians and Vegetarians, which is definitely easier if a big group of people consisting of both are dinning together. Moshi also takes the initiative to give every 5% from the bill amount of every meal towards a construction workers meal, which we think is phenomenal! 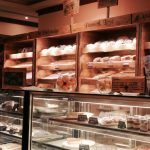 The only drawback we could point out was the space, which is soon to be eliminated with the opening of their second branch in Oud Mehta, we cannot wait to try out that space.